SHARMINI PERIES: It’s the Real News. I’m Sharmini Peries coming to you from Baltimore. Brazil’s Supreme Court in a 6-5 ruling informed the former president Lula Ignacio Da Silva that he must begin serving his 12 year prison sentence immediately. In 2017, Lula was convicted and sentenced to a 12 year prison sentence. President Da Silva supposedly accepted a bribe from the Brazilian construction company Odebrecht while he was still president, where no evidence was actually produced of this crime. 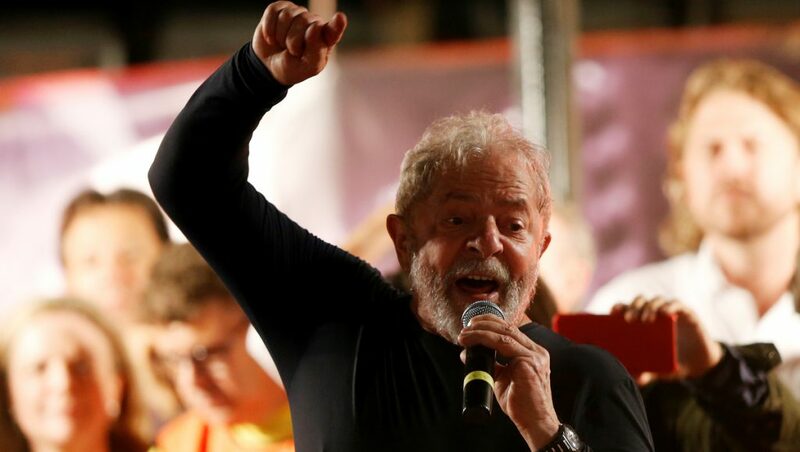 The Supreme Court’s ruling does not exhaust Lula’s appeal but it probably puts an end to his presidential campaign, in which he is the frontrunner. The ruling was limited to whether Lula was to be imprisoned while he continued his appeal of the conviction. Both supporters and opponents of the former president hit the streets this week in tens of thousands. Also shortly before the ruling, two generals urged the court to rule against Lula. General Luis Gonzaga Schroeder Lessa even threatened with the possibility of a military coup should Lula be allowed to remain free. Joining me now to analyze the consequences of this court decision is Brian Mier. Brian is an editor for the Web site of Brasil Wire and is also editor of the book “Voices of the Brazilian Left.” Thank you so much for joining us, Brian. SHARMINI PERIES: Brian, it’s been a suspenseful night. Too many people stayed up waiting for the Supreme Court decision to come down. In early wee hours this morning it was finally rendered. Give us a sense of the mood, the waiting, the anticipation of all of this, and what was the conditions under the decisive vote was delivered? BRIAN MIER: OK. Well, the mood is pretty dismal right now because it’s just one more in a series of blows against Brazilian democracy. Now, leading up to the decision by the Supreme Court yesterday, a lot of people thought that they would rule in Lula’s favor because it’s a, it wasn’t a question of the absurd corruption charges that were raised against them in the first place by U.S.-backed, Department of Justice-backed investigation team led by Sergio Moro. He’s been charged, I want to make this clear here, he’s been charged with indeterminate acts because there is no material evidence linking him to any kind of corruption any kind of personal enrichment. They’re saying he received illegal reforms on an apartment, a beachfront apartment, but they can’t prove that he ever owned it or was ever there. So his official conviction was over indeterminate acts. The decision of the Supreme Court was over the Brazilian Constitution of 1988, which stipulates that a defendant has the right to appeal his conviction in liberty. And so the decision was were they going to go against the constitution and undo this this law that stipulates that defendants are allowed to appeal in freedom? And if they had done that, if they’d gone and reversed the constitutional law, they would have had to guarantee liberty for all kinds of corrupt politicians who are being tried right now. And so Chief Justice Carmen Lucía restricted the decision to Lula’s individual case. OK, so in ruling that Lula can’t wait out his appeal process in freedom, it applies only to him. All of the other conservative politicians who are on trial for serious corruption charges involving millions of dollars with material evidence can keep keep guarding their appeal process and freedom. So it was a very narrow decision by the Supreme Court. But even so it looked as if it was going to go in Lula’s favor. And then the night before, the night before the decision, the commander of the Brazilian Armed Forces tweeted out that he expected the Supreme Court to rule against impunity and that the military was very conscious of its institutional role. These tweets were read over the air by Brazil’s most popular anchorman on its most popular news show the night before the Supreme Court ruling. And it was interpreted widely as a threat by the military. And this threat was exacerbated by comments of other military generals who said that if Lula was allowed to run for president the military would have to step in and guarantee order and prevent it from happening, which is tantamount to saying military coup. And so what most analysts who looking at yesterday’s events believe is that Rosa Weber, who in her decision she said she was going against her personal beliefs and siding with the majority, that she felt threatened. That she reacted to the military threat and changed her decision to go against Lula. SHARMINI PERIES: And of course this evokes certain memories in terms of Brazilian’s history and having experienced military coups and dictatorships. Tell us very briefly what that history is about. BRIAN MIER: OK. Well, Brazil’s had a lot of coups. In 1954 after President Vargas doubled the minimum wage and created the state petroleum company, he committed suicide in office to avoid a coup. And then in 1964 there was a U.S.-backed military coup against the democratically elected government of Joao Goulart. And at that time the military said, oh, we’re just coming in to maintain order. There’ll be regular elections in two years. And so a lot of, and during that two year period protests were allowed to continue. Union activity was allowed to continue. But then two years later they clamped down. And they clamped down even further in 1968 with Institutional Act 5, which outlawed unions and outlawed any kind of social movements. And that’s when they really stepped up with torture and disappearances, and things like that. And so what a lot of people who I’ve talked to here are saying is that we’re in a similar period, whereas in 2016 there was an illegal impeachment for a non-impeachable offense against Dilma Rousseff. A new government came in and immediately started privatizing billions and billions of dollars worth of petroleum to U.S. petroleum companies. It set up selling the largest aviation company in Brazil to Boeing, and dismantled 80 years of labor rights laws, and cut social spending and things like that. But people have been allowed to continue the protests. The PT party is still in office. They still have a very large bloc of congressmen and senators. And what a lot of people I’ve spoken to are saying is that this situation is reminiscent of what happened back in the 1960s where in the initial period after this illegal regime change people are allowed to protest and resist. But we see now a growing clampdown against leftists. Ten left activists have been assassinated in the last five months. It’s not just Marielle Franco. And Lula’s campaign rally caravan was shot at in Parana state last week. You know, he’s still the most popular politician in Brazil, so this is a devastating blow for democracy and removing the left from the 2018 presidential elections. It means that there’s no chance that the privatizations, the massive handover of Brazilian natural resources to foreign capital can be undone. SHARMINI PERIES: So Brian, then, Justice Rosa Weber’s concern that her decision could evoke this kind of reaction on the part of the military is very real, and very real for Brazilians as well, for her to actually go against the constitution itself in rendering this decision. Has she spoken about her decision after the verdict was delivered on the part of the Supreme Court? BRIAN MIER: I haven’t seen her, any statements from her yet. Keep in mind she spoke for over an hour, so she’s probably out of breath like all these other justices. The process didn’t end until midnight. They were just going at it for hours and hours in this very technical, old-fashioned legal Portuguese. So they haven’t, she hasn’t made an official statement that I’ve seen yet. But she’s already turned into a meme that is circulating all over the Internet, because basically she said, I’m going to vote against my personal beliefs and side with the majority that only became a majority because I changed my vote. That’s the gist of the meme. You know, she was the swing vote. It only became a majority when she sided against the constitution. SHARMINI PERIES: So Brian, what does this mean now for Lula’s candidacy for president? He has been campaigning but not necessarily has declared his candidacy yet. What will all this mean? BRIAN MIER: Well, that’s an interesting question. According to Brazilian law if you have a conviction underway, that appeal process underway, you can’t run for office. But if you’re already in jail you can run for office. So Lula has announced that he is going to declare his candidacy anyway. And it’s not unprecedented for political prisoners to win elections. We know that in 1981 while Bobby Sands was on his hunger strike in the Maze Penitentiary H-Block in Northern Ireland he was elected to British parliament. So Lula’s supporters are still saying he’s going to run, Lula ‘s saying he’s going to run. So it’s going to be a tumultuous couple of months right now. If there was actual real rule of law in place in Brazil he wouldn’t even be convicted of anything, and even less so there would have been a Supreme Court ruling like that. So the worry is that even though he’s legally allowed to run for office they’re just going to step in and cancel it because there’s no more valid rule of law in Brazil. We’re living in a state of exception. SHARMINI PERIES: And who has the right to make that decision, whether he is or he is not a candidate for the presidency and can go on a ballot? BRIAN MIER: The judiciary. You know, the U.S.-tied judiciary and the same Supreme Court. But the problem is the process to canceling his candidacy could take longer than the time period between now and the election. So he there’s a chance he could declare his candidacy and they wouldn’t be able to cancel it on time, and he would still run normally. He would have a hard time participating in the debates. But there’s so much love for Lula among the labor unions and the social movements and poor farmers out in the countryside that he’s guaranteed of still being one of the top runners in the election if he runs. 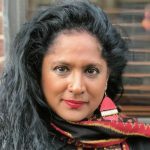 SHARMINI PERIES: Brian, has Lula responded to the decision of the Supreme Court? BRIAN MIER: Yeah Lula said that if he’s ordered to go to jail, he’ll go. He’s not going to hide, he’s not going to try and escape to a council or something like that. And that he continues to plan, on planning to run for the presidency. SHARMINI PERIES: All right, Brian. I thank you so much for joining us today. BRIAN MIER: Thanks a lot, Sharmini. See you later.